This tour is suitable for beginners, families with kids/teenagers and riders with passengers. Teenagers will have to start out as a passenger but may be allowed to ride, depending on their capability in a safe environment when out on the trails. 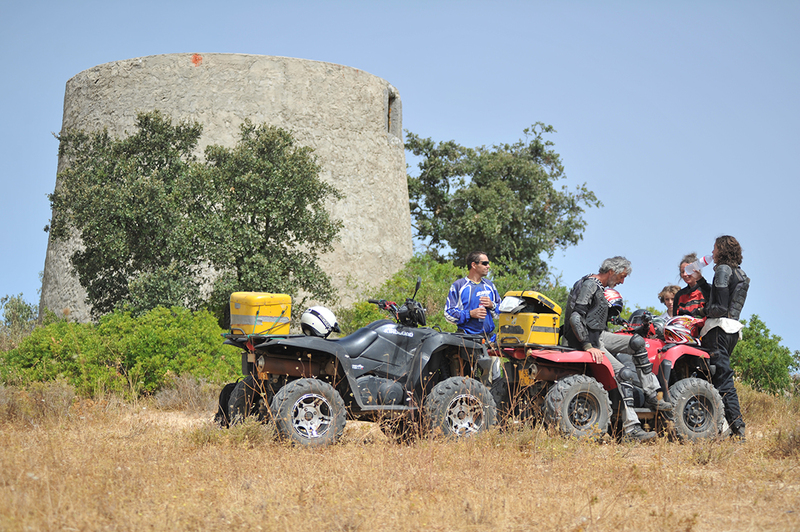 You will ride past ruins and old mills amongst pungent wild herbs and flowers viewing the traditional cork trees of the region on varied terrain of minimal difficulty. 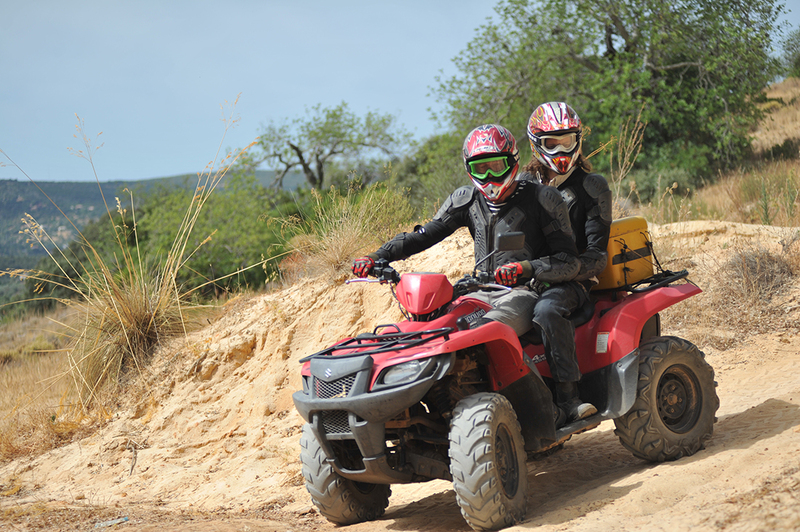 We aim to teach you how to ride a quad bike and give you the confidence to improve your technique. We aim where possible NOT to mix together groups of different levels of experience unless there are different levels of experience within your own group. Fitting of full protective clothing & equipment. Introduction to Quads & explanation of controls. Practice ride to assess ability. Safety briefing prior to departure. Professional tuition and guidance at all times. Complimentary beer or soft drink and snacks on your return. Long trousers, sensible shoes and socks – NO flip-flops or sandals. Our tours are NOT sightseeing tours on a Quad Bike. 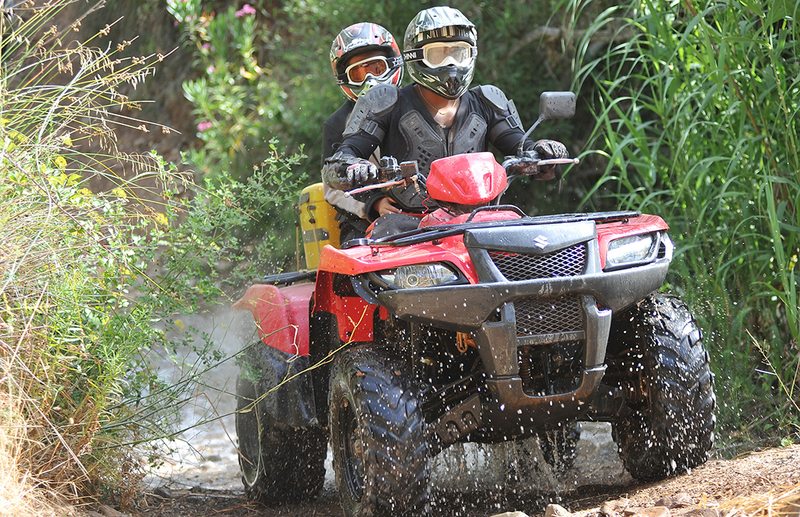 Our tours are Quad Bike tours with sights to see along the way. Pick up is available on request.